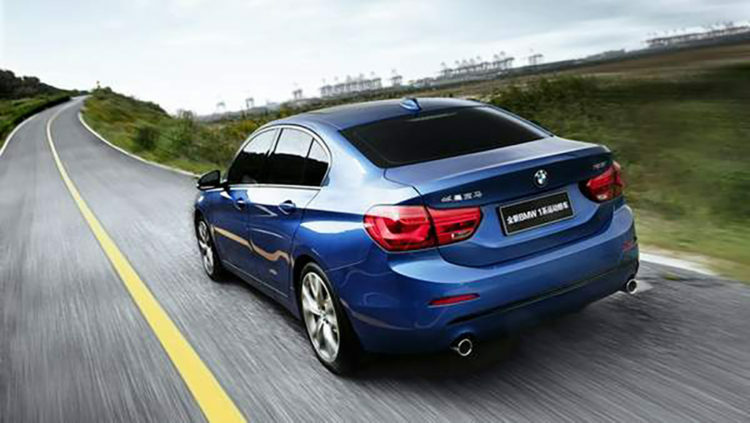 The model was developed by BMW Brilliance Automotive Ltd and destined only for the Chinese market. The all-new BMW 1 Series Sedan inherits the same classic design identical to the BMW family, such as the double kidney grille, double round headlights, long bonnet, short overhangs, “Hofmeister-Knick” design, and enhanced shoulder lines on the side. The higher bonnet and trunk lid gives the car a chunky stance and powerful sporty appearance, while the three-parted air intake in the front apron is also uniquely featured only on the BMW M models before.The newly-designed hexagonal LED headlights provide significantly improved illumination of the road during night time or in bad weather conditions. With the striking and inspirational L-shaped taillights working together, the all-new BMW 1 Series Sedan visually looks highly dynamic and cool. The interior concept carries the similar exterior design idea. The layered dashboard ideally brings out a dynamic image and underlines the modern luxury sense. 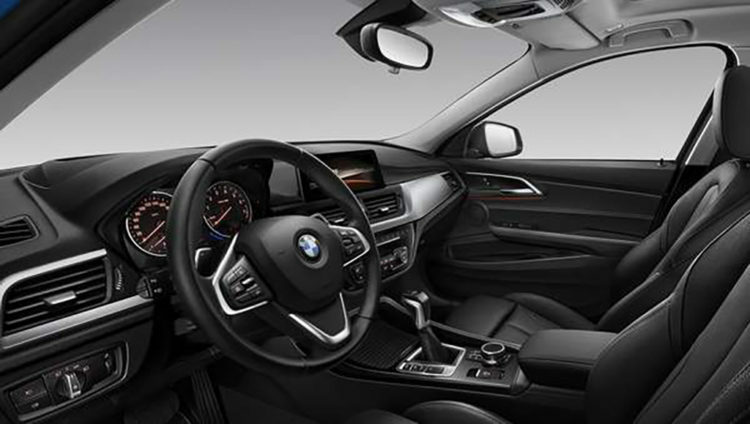 The Start & Stop button, electric brake, full color Head-Up Display, 8.8-inch LED central screen, BMW iDrive system are all fully equipped. The driver-oriented cockpit design emphasizes on the driving fun from a sporty sedan. The all-new BMW 1 Series Sedan offers an enhanced interior space capability with 2.67 meter in the wheelbase, a benchmark of its class. Passengers in the front and back can sit comfortably, and the rear seats at the back can be folded in 40:20:40 to provide extra roominess. 0.7m² panoramic roof, the biggest of its class gives a delightful atmosphere, and the highly-efficient air filter inside the car offers filtrated fresh air for all passengers. 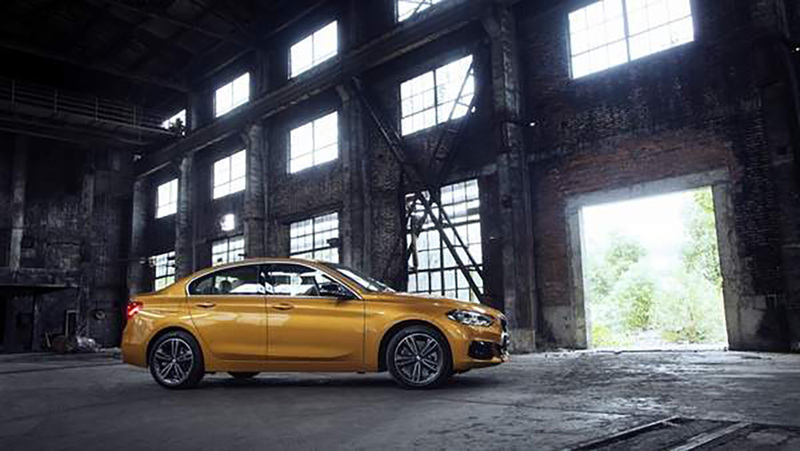 Available with up to ten different colors, the all-new BMW 1 Series Sedan adds more colors to the life of young individuals, whether in a stunning “Estoril Blue” or the exclusive color for China, “Luminous Gold”. Under the hood, it features BMW’s latest 1.5 liter and 2.0 liter turbo engines, equipped with a six or eight-speed Steptronic transmission. COMFORT, SPORT, ECO PRO are three different driving modes offered to adjust the engine, steering, fuel economy levels of the car. The lowest combined average fuel consumption is merely 5.5 liter per hundred kilometers. 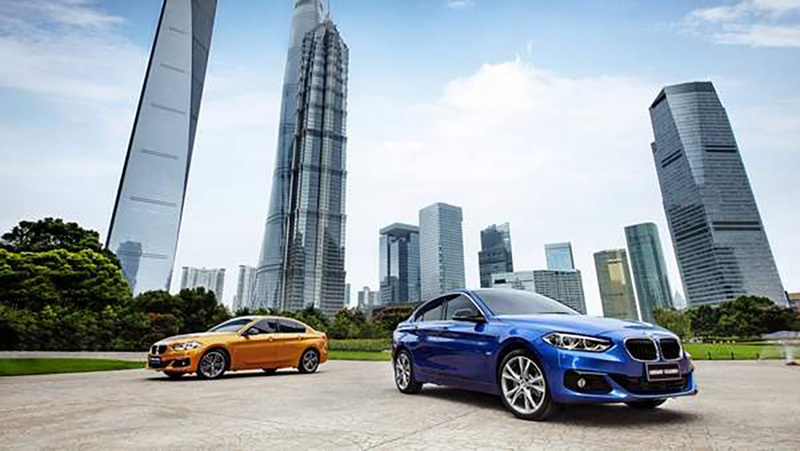 The soon to be launched BMW Connected App in China seamlessly integrates all functions in one application, linking the driver and the car with his or her go-to destination, providing a personalized companionship for daily traveling needs. Need recommendation for a place to bring your date? Departure time before your appointments, or need to stop by a gift shop on the way? Even need to know the actual arriving time to your destination? BMW Connected takes care of all of these. 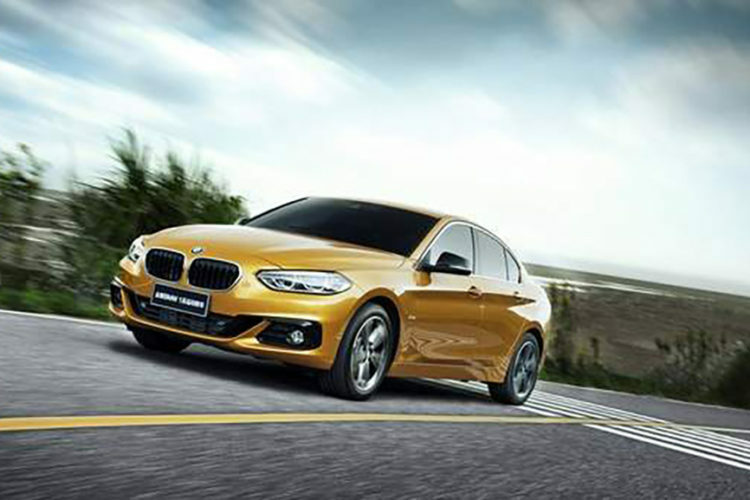 Full-color Head-Up Display is equipped on the all-new BMW 1 Series Sedan. The car also offers unique features of the segment like run-flat tires, and Lane Departure Warning, Collision Warning and Pedestrian Warning. BMW will launch the 1 Series Sedan in China next year, but it remains unknown if other markets will follow suit.